The Chaplain Cafe is an online learning community for First Responder Chaplains. Each week I will cover a topic relevant to the chaplaincy ministry, and provide a Tip of the Week, an idea for you to try in your agency or department. I will also be interviewing chaplains from around the world to glean from their years of experience. 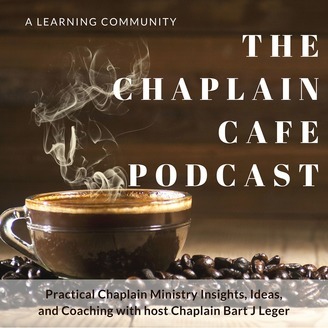 Join the Chaplain Cafe Podcast and let's take our chaplaincy ministry to the next level. 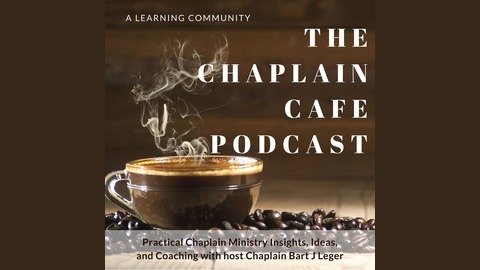 This podcast is for police chaplains, fire chaplains and ems chaplains. If you consider yourself a chaplain to first responders, this is for you. In today's episode Chaplain Leger interviews Officer Houston Gass. Officer Gass was injured when he was shot in the face with a shotgun while responding to a domestic disturbance call while working for the Pampa, Texas Police Department. This interview takes place during the International Conference of Police Chaplains Regional Training Seminar in Lubbock, Texas. Officer Gass was still recovering from his injuries and was one week out of his last surgery at the time of this interview. Houston gives advice to those who have been injured, to their families and to those who care for them. Don't miss this very moving and informative episode.